Commercial Door Hardware, Locksets, Exit Devices, Door Closers. Padlocks, Safety Lock-outs, Trailer Security products. Browse our selection of Fire and Burglary Safes for home or office use. Browse our selection of automotive remotes, remote programming and remote battery replacement. Gamble Lock is the trusted locksmith for generations of home and business consumers in Newmarket and the nearby region! Since 1971 we have offered single-source security solutions such as keys cut, automatic doors, accessible doors, handicap door opener, padlocks and Emtek technology that client can depend on. 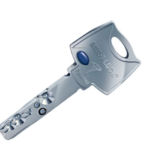 From Custom multi-level master key systems and keys cut to residential lock repairs and upgrades, to access control systems and automatic commercial door installations – we do it all! Visit our large Newmarket showroom, or shop online from the convenience of your own home for both commercial and residential door hardware. 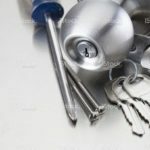 “Purchased a house and needed the locks rekeyed. This is a cheaper option than replacing the locks. He arrived right on time – to the minute. The work was done well. He was clean and courteous – nothing to clean up. He also went the extra mile. I had a sticking door latch. He did some magic and it works well now. I appreciate doing the work as requested, and going to extra mile to fix the sticking latch at no extra charge. Thanks guys! Much appreciated.